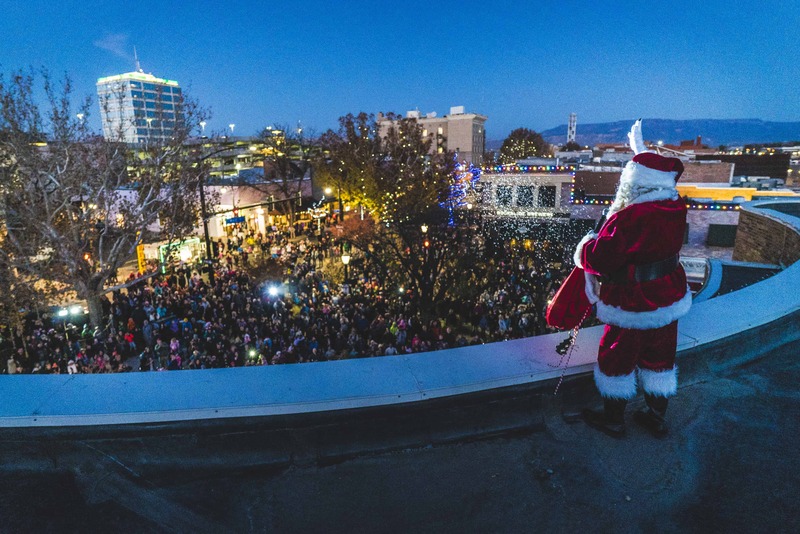 Catch the Spirit of the holidays in Downtown Grand Junction. It all starts with the Downtown Tree Lighting! With a magical wave of his hand and a sprinkling of magic dust from the Wells Fargo rooftop, Santa lights not only the tree at 4th and Main, but also all the lights on Main Street simultaneously! Santa then sits down to to visit with the kids before returning to the North Pole.